A foundation in Sacramento, Calif., is claiming that it is the first bitcoin-based charity to be granted 501(c)(3) status by the Internal Revenue Service (IRS). The BitGive Foundation has been operating as a volunteer organization since it was founded a year ago, supporting various public health and environmental causes and exclusively using bitcoins, a digital currency. The announcement of its nonprofit status came with the start of the foundation’s initial fundraising campaign, which will be used to build their long-term fund for charitable giving. The Foundation does accept non-bitcoin donations, but converts those funds into bitcoins, said Executive Director Connie Gallippi, who also said the foundation will distribute money to nonprofits in non-bitcoin currencies if that is preferred. The IRS would not confirm the foundation’s claim that it was the first charity that only uses bitcoins. According to Gallippi, the claim was based on knowing the other bitcoin organizations that are currently operating. “We know that there are others out there doing work with bitcoins, but they either haven’t applied for status or haven’t received it yet,” she said. While there is another bitcoin-based nonprofit — The Bitcoin Foundation in Seattle — that organization is a 501(c)(6) which means it does lobbying and education work. The Bitcoin Foundation was the first 501(c)(6) digital currency trade organization. Gallippi said that getting nonprofit status would help attract new donors, as it will allow them to get tax write-offs for their donations. The organization’s initial fundraising campaign has a goal of $150,000 and is broken down into two categories: Founding Donors and Membership Program. The Founding Donors campaign is designed primarily for companies or high-level donors, with required donations depending on which level you choose (the highest, Platinum, at 40 bitcoins which is equivalent to $20,000). The Membership Program, meanwhile requires just half 0.5 bitcoins ($257.43) and is designed for individuals. The amount raised at this writing is $40,000, and there might be a significant addition once they hear back from one donor, she said. There are eight companies listed as Founding Donors including BitPay, Roger Ver, and LibraTax. BitGive Foundation has already been involved with a number of fundraising campaigns during its first year. This includes a current $10,000 campaign, started in February, to raise money for The Water Project. At press time, the campaign has generated $8,201.89 in bitcoins which Peter Chasse, president/CEO of The Water Project, said will be converted into dollars to help bring clean water to developing countries. This is not the first time the Concord, N.H.-based organization has dabbled in alternative currencies. Back in January, a number of users of digital currencies contacted the organization asking if they could donate using these currencies. While Chasse said there was a self-serving element to some of these requests – to bring awareness to these new currencies – he stressed that the majority of interested parties did not want a press release announcing the donation. “It was interesting to see that there was a really strong interest in philanthropy from this community,” said Chasse. All these donations were eventually accepted, though he asked all parties to consolidate their donations to bitcoins, the form of currency The Water Project was comfortable using. Because of the perceived volatility of the currency, Chasse opted to work with bitcoin processor Coinbase to convert the donations into dollars. 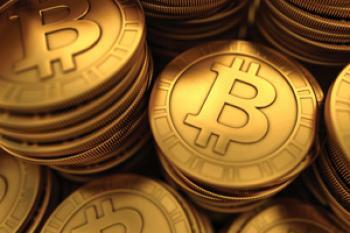 Gallippi’s organization has no such concerns regarding holding onto bitcoins. Explaining that the organization was founded on its belief in the digital currency, she said that she believes the value of bitcoins will only increase. “We 100 percent believe in its success,” she said. Based on this belief, they pay as many expenses as they can in bitcoins though there are some expenses (such as government fees).